I was thinking about this last week, when there was a distinct tension between my roles as mother and budding business woman. Not enough time for everything, it feels like. It reminded me of one of the uses of the extra people cards in the Celtic Lenormand. In a reading that includes both versions, for example the Lady and the Woman, you can look at different aspects of your life. There are lots of ways to do this. Perhaps the simplest is to shuffle up the entire deck, all 45 cards, and then look for the two significator cards that match you. Looking at the cards to either side of them (I'd take two to either side, giving a line of five for each aspect), can be very enlightening. Even more so if you place the two lines one above the other, so you can see correspondences and differences between the two aspects. What this says to me is that, currently, these two aspects of my life just can't be separated. Moreover, finding a healthy balance that includes both will open up a lot of choices. I am also advised to let my decisions flow from what is happening, rather than trying to force them. 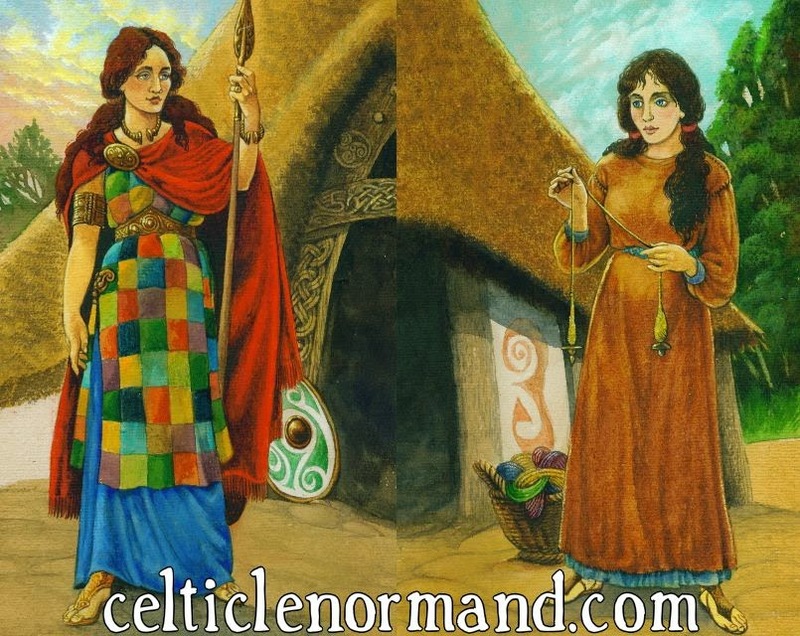 On another note, the Celtic Lenormand is now available to be ordered from either U.S. Games' website, or from amazon.com. Hopefully, European retailers will follow shortly. I love to see a spread with this deck. Combining multiple roles is always a challenge especially with young kids. Your posts are helping me to learn how to use these cards, so thank you for that. I don't have your deck yet (top of my list!) but I tried a one-line version with the TABI Lenormand (only one Woman card). Very interesting!